Due to the fact that Malta reconfigured its corporate taxation framework in 2007, it is important to appreciate how these changes might affect businesses as well as to develop a thorough understanding of the principles associated with common Malta corporate tax issues. 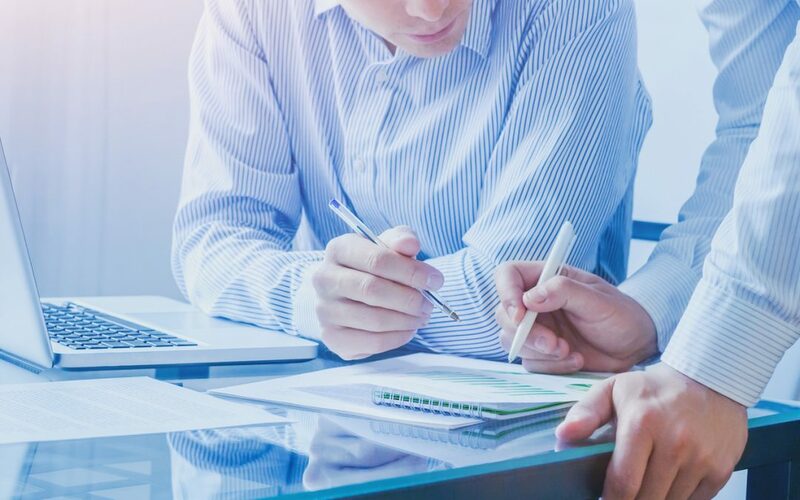 The ultimate intention of this article is to provide insight and clarity when referring to Maltese companies and their relationship with the current corporate tax system. It is first important to note that Malta modified its corporate tax framework in order to address the issue of tax discrimination. This was essentially accomplished by offering non-residents as well as residents the ability to apply for (and claim) tax refunds. We should also note that clauses including (but not limited to) participation exemptions were put into place in an effort to make Malta a jurisdiction that would remain attractive in terms of tax planning. Since 2007, Malta corporate tax laws have continued to change based upon their desire to remain compliant with updated EU stipulations as well as those associated with the OECD. The main intention is to enable this region to adopt an attractive and competitive flavour that will continue to attract outside entities. Capital divided into individual shares. Capital that is not apportioned. Malta corporate tax laws require that any organisation needs to possess a minimum of €1,164.69 euros in share capital. Furthermore, 20 per cent of this figure is required to be paid in the event that it becomes incorporated. The equivalent amount in a foreign denomination may be utilised to fulfil this regulation. However, keep in mind that this value will be recognised as the chosen currency of the firm. It is therefore subject to all further taxation requests as well as subsequent refunds. This has been enacted to reduce risks associated with the foreign exchange market. Maltese laws also address firms that are associated with variable share capital. It is normal that an organisation will be established with multiple shareholders in place. However, Malta corporate law has provided a stipulation to incorporate a firm with only one member. It is nonetheless a fact that additional individuals can possess shares. This is extended to trusts, foundations and similar entities. 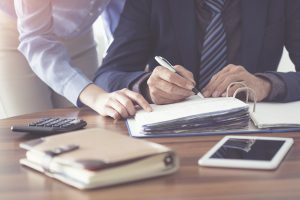 Although the object associated with a private limited company are defined as unlimited, they are required to be summarised within a Memorandum of Association. In reference to a limited company that is privately exempt, its main purpose of incorporation will need to be clarified. Public and private companies have different requirements when speaking of directors and secretaries. Public companies will need to have at least two directors. However, private firms are only required to possess one. Please note that a director may also represent the body corporate. Every company (regardless of its incorporation status) is obliged to possess an official secretary. While this is defined as an individual, the director has the potential to occupy the post. A sole director within any private exempt company can also double as a secretary. All professional practitioners are bound to confidentiality in accordance with the Professional Secrecy Act. Some roles which are required to adhere to these regulations include auditors, trustees, accountants, advocates, notaries, accountants, licensed nominees and officers. Any individual who intentionally divulges company secrets is liable to a fine of €46,587.47 euros, a two-year prison sentence, or both. According to Malta corporate tax laws, all companies are obliged to hold a minimum of one official meeting every year. A maximum window of 15 months should take place between any two meetings. However, any firm which holds a meeting within the year immediately subsequent to registration is not required to hold an additional gathering during the following 12-month period. Representatives are required to present a record (memorandum) of the articles of association to the official Registrar of Companies. Additional information will need to be provided in relation to all share capital has been placed within an associated bank account. Once these guidelines have been met, the firm will be provided with a recognised certificate of registration. If we assume that all of the previously mentioned information has been provided, the process of incorporation will generally take between three and five business days. This will involve due diligence of all documents as well as the remittance of funds. In this respect, Malta corporate tax laws are rather efficient. Any firm which requires a rapid incorporation can pay an extra fee. In this event, the process is completed with 24 hours of the initial request. As should be expected and in accordance with Malta corporate tax legislation, every company will be required to submit yearly audited statements as per the International Financial Reporting Standards (IFRS). This material should be sent to the Registry of Companies so that they may be observed by the public if desired. However, the government of Malta offers a choice of year-end financial options. All Maltese-registered companies are defined as residents of Malta. Therefore, they will need to adhere to global taxation on their income (excluding any permitted deductions). Malta corporate tax rates are currently 35 per cent. All shareholders who are tax residents will receive full credits for any taxes that have been previously paid by the company in regards to profits that have been disseminated in the form of dividends. This is primarily intended to avoid situations such as unintentional double taxation. 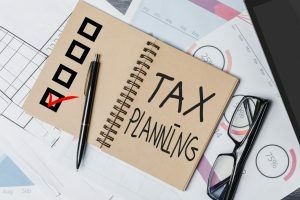 In the event that the rates associated with dividend taxes are lower than those associated with Maltese corporate tax, it is possible to refund these imputation tax credits. 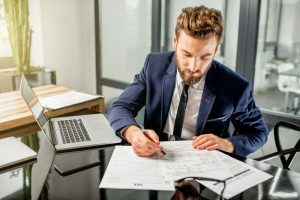 Once a shareholder receives a payment in the form of a dividend, he or she may claim a tax refund in relation to the tax that has already been paid at the company level. It is important to understand the amount of this refund. Therefore, the recipient will have to take into account the type and the primary source. Any shareholders of a Maltese company who are receiving branch dividend profits (subject to Malta tax) are likewise eligible for similar refunds as those previously described for shareholders. 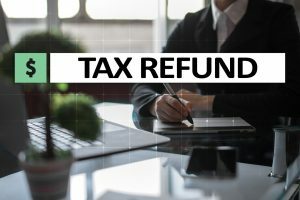 In accordance with Malta corporate tax laws, all refunds will be paid within 14 business days from the date when the refund is initially due. This is under the assumption that the associated paperwork (including tax returns) have already been filed. Once any owed taxes have been recorded as paid, the refund claim will be validated. The income itself has been derived from investments defined as Participating Holdings. Assuming that this income is accumulated from dividends, it is considered a “safe harbour” or it is accordance with anti-abuse regulations. The income is derived from royalties or passive interest. Any funds which do not fall within the “safe harbour” status and are not compliant with anti-abuse provisions. This type of refund is essentially applicable to those who are concerned about the double taxation status. Anyone who is able to claim double taxation relief in relation to a Maltese company is subject to a two-thirds refund. There may be times when a shareholder has been paid dividends via income that has not been previously addressed within the guidelines mentioned above. In these cases, such individuals are provided with a refund equivalent to 6/7 of the Maltese tax paid by the firm in question. In other words, this clause signifies that such individuals are subject to a Malta corporate tax rate of only five per cent. Unilateral relief (this also encompasses credit systems for underlying tax relief). Falling under the jurisdiction of the Flat Rate Foreign Tax Credit System. Let us now examine each of these scenarios in greater detail. Foreign tax has already been applied. This foreign tax has “suffered” as a result. Any refunds will be provided as credit in relation to the relevant Maltese taxes. However, please note that these figures will not exceed the aggregate liability associated with foreign-sourced income. Due to current regulations, Malta corporate tax laws prohibit the transfer of dividends between subsidiary firms and parent companies located within the European Union. In essence, this regulation serves to exempt all royalty and interest payments to a company found within a member state from the associated taxation regulations. Certain Maltese firms may hold shares in other organisations as participating holdings. Exemptions could be available if one or more of the conditions listed below are met. These apply to gains as well as dividends. 2. A firm is an equity shareholder in another company. It may acquire the shares not held by the other firm (applicable to the laws within the relevant country). 3. The firm is provided first refusal in situations associated with the cancellation, redemption or disposal of any equity shares. 4. The entity is able to maintain a presence within the board of directors or to appoint a representative. 5. The minimum value of the investment equates to €1,164,000 euros (or the foreign currency equivalent). These funds must be possessed for at least 183 consecutive days. The distribution of profits in accordance with the value of shares. Accessing assets of distribution (in the event that the company ceases to operate). The firm is incorporated (or a resident) within the EU. Foreign tax rates are a minimum of 15 per cent. No more than 50 per cent of income is a result of royalties or passive interest. The shares are not a portfolio investment. Royalties or passive interest have been taxed at five per cent or more. In order to benefit from this situation, firms will need to provide evidence that their income was derived from overseas sources. This is assuming that the overseas rates were 25 per cent. In essence, a Malta corporate tax of 35 per cent is placed upon the net income of the firm (grossed by the 25 per cent). This credit is then employed against the Maltese payments that would otherwise be due. 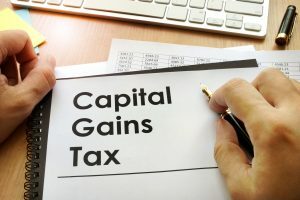 There are no withholding taxes associated with the allocation of shares (as well as the dividends from a Maltese firm). All taxes and refunds are distributed in accordance with the currency of the firm. Non-residents are not subject to interest- or royalty-based tax. Finally, there are no wealth taxes or capital duties. There may be instances when a ruling is required in order to determine the status of an application in relation to Malta corporate tax law. These are bound by Inland Revenue and are ratified (approximately) 30 days after the initial request. We recommend to get in touch with our Malta tax advisors in order to evaluate your tax situation. Malta fully complies with the appropriate EU directives in reference to corporate taxation. This includes the Royalties Directive as well as the Parent-Subsidiary Directive. Summarily, all Malta corporate tax initiatives adhere to the laws of the European Union. This enables businesses to enjoy a superior sense of integration with all member states as well as with Malta itself.